Anyone can manage a social media account, but it takes skill, time and patience to manage and run a successful account. Whether you're brand new to the scene or experienced but just need to refresh your social strategy, this article will help you get off the ground. Look at the big picture, what does your company stand to achieve? Sales? Awareness? Hiring talent? Your goal is what your social media strategy needs to revolve around. 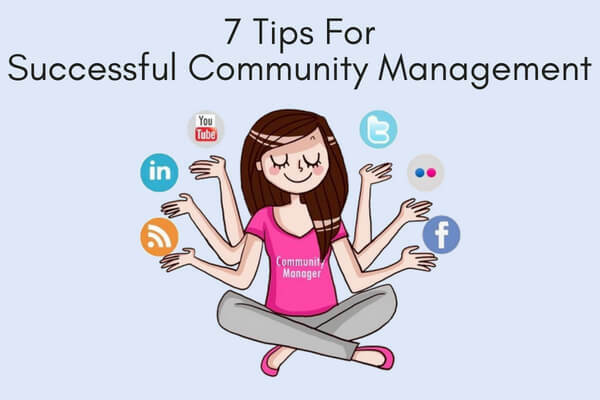 A content strategy works as a basis for any community manager. What type of content will you be posting and who is this content targeted for? Remember, your content needs to reflect your company/brand values, visions & ideologies and contribute to reaching your initial goal. Repost, retweet and share your fans content! Fans love it when they’re heard, especially by one of their favourite companies and sharing their content makes them feel even more valued. And why wouldn’t you? Sharing user-generated content is similar to promoting positive reviews! I cannot stress enough how customer service engagement is so important. With customer engagement, you’re providing customer care – it shows you listen and value your audience. Always reply to customer queries, especially complaints. Did you know 67% of online shoppers use social media to complain? Customers are smarter than you think, they know publically shaming will force the company to reply and preferably quickly. So, moral of the story is, always respond, even if to ask them to personal message you. Oh, one more thing, if you see a comment which doesn’t need a reply but reflect positively on your brand, acknowledge said comment with a like/heart. A good segway from point 5. Monitoring is important and should be done at least 30 minutes per day, every day. Check all the comments and inbox messages on all platforms. Reply to everyone, acknowledge some, delete those which are inappropriate and just keep your social pages tidy. Community Management is a commitment. I still see many social media profiles which have long been abandoned and some companies still even have links from their website directing them to these ghostly pages. Regardless of how successful a company may be, an abandoned social media profile just looks poor and gives the impression of a can’t be bothered attitude. My representation of a happy Community Manager.